Merchants that you are doing business with may be using SubscriptionBridge to manage their subscription-based business. When you purchased a product (e.g. a Wine Club monthly shipment) or signed up for a service (e.g. 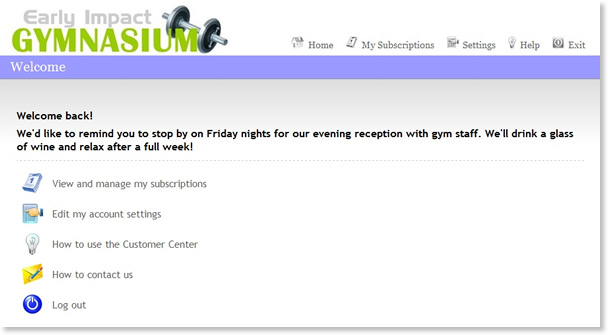 a gym membership) with any of those merchants, you subscribed to those products and service. The SubscriptionBridge Customer Center is where you can manage those subscriptions. The order number associated with that purchase. The order number was shown to you on the Order Confirmation page at the end of the checkout process, and was included in the e-mail that was sent to you after the purchase. Click on “My Subscriptions” to view and manage your subscriptions. A list of subscriptions will be displayed. 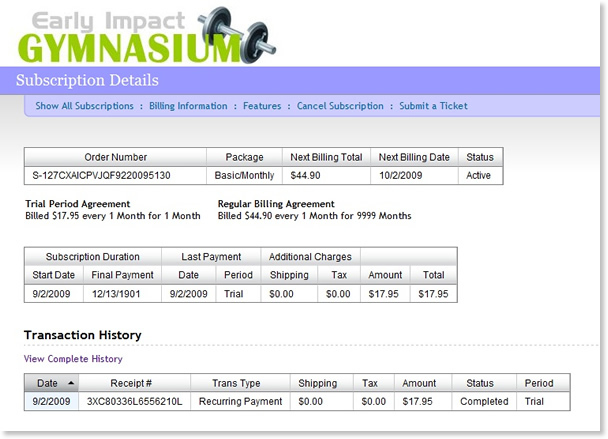 Click on the subscription number to view details on that subscription. Click on this link to add and/or remove additional features (available products and services) to this subscription. This only applies to subscriptions for which additional features are available. When you add a feature to your subscription, you might be charged pro-rate for the current billing period. Once a feature has been added, the ongoing subscription amount will reflect the price of the new feature(s), starting with the next payment. If you have a problem with your subscription, click on this link to open a support ticket. 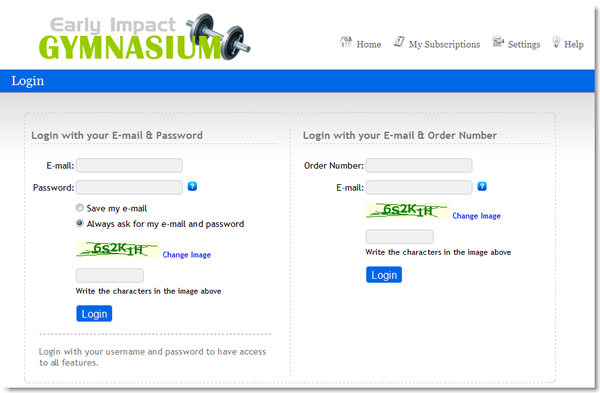 If you wish to cancel your subscription, click on this link. Click on this link if you wish to return to a list of all subscriptions.